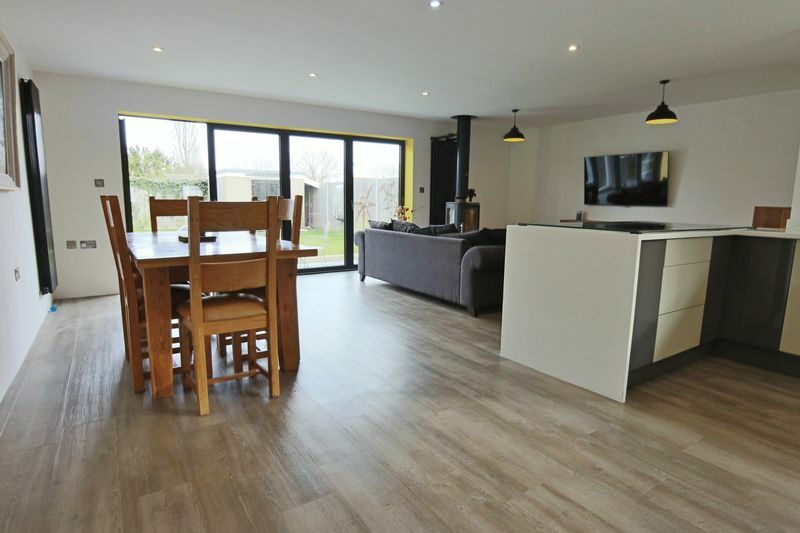 **AN AMAZING CONTEMPORARY BUNGALOW OFFERING FANTASTIC OPEN PLAN LIVING ACCOMMODATION** with bi-fold doors, superb grey/cream gloss fitted kitchen, log burner, en suite shower room, large garden room, private gardens, adjoining garage with remote door, viewing absolutely essential. 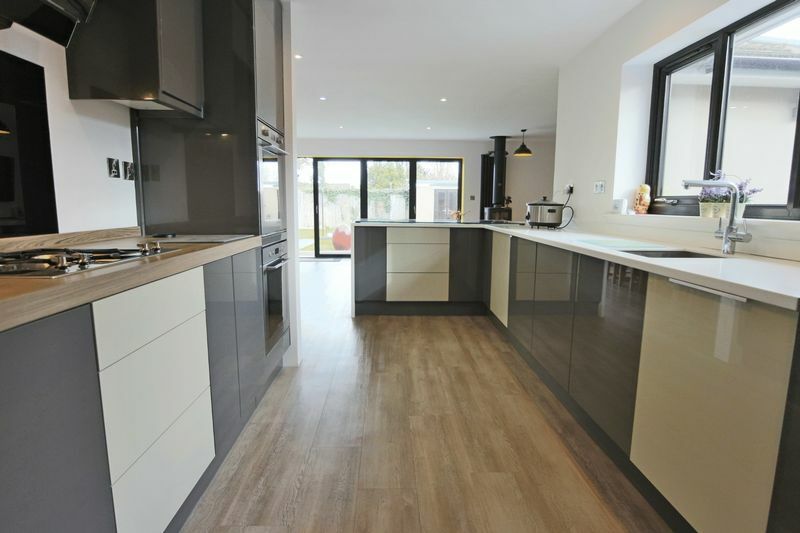 This amazing property has been transformed into a superb contemporary bungalow offering fantastic open plan living accommodation with a stunning fitted kitchen in contrasting grey and cream gloss units. 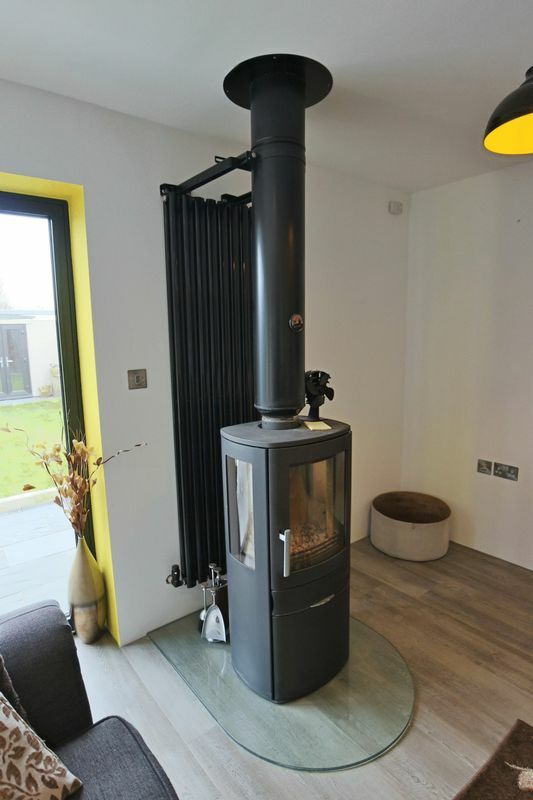 There is an attractive modern style log burner for those cosy nights and for the summer, bifold doors which not only allow plenty of light to pour in, but also bringing the outdoors in. 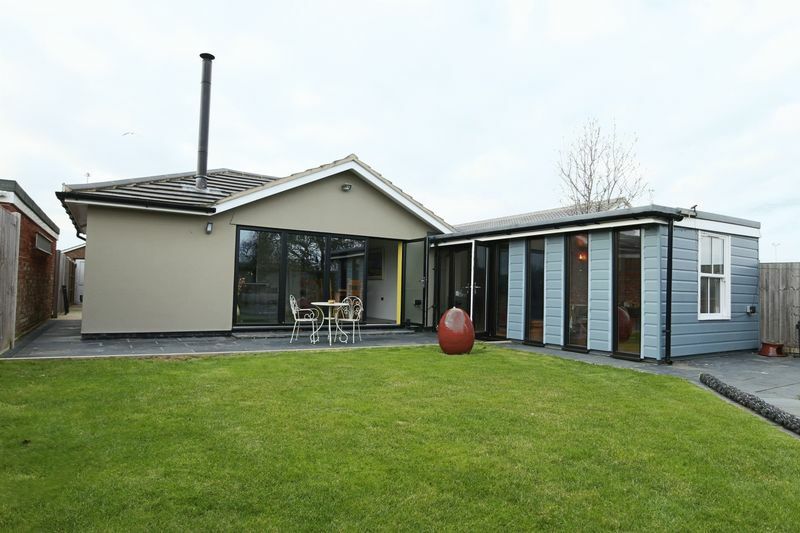 To compliment the outdoor living, there is a fantastic garden room, connected to the back of the garage, which also has patio doors looking out over the private rear gardens. 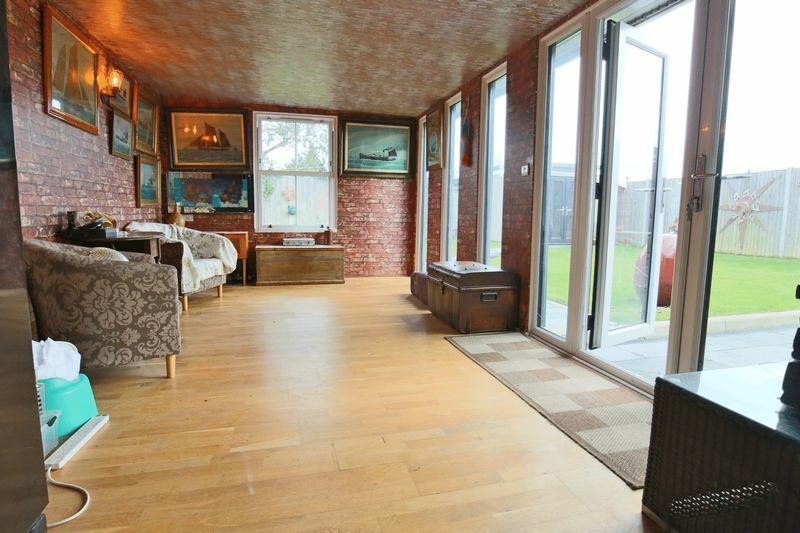 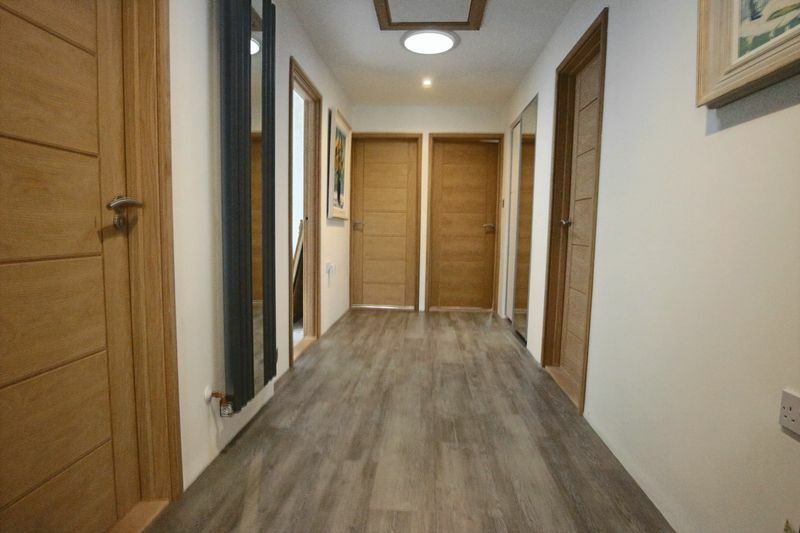 A generous size inner hallway provides access to 4 good size bedrooms, the master of which has a en suite shower and a family bathroom with double shower cubicle. 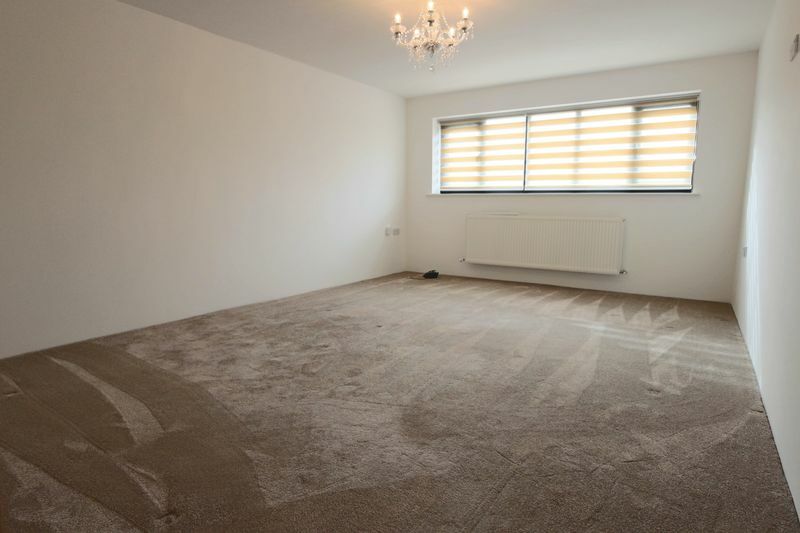 This is a unique contemporary property which has been finished to a very high standard with quality fixtures and fittings and must be viewed to be fully appreciated. 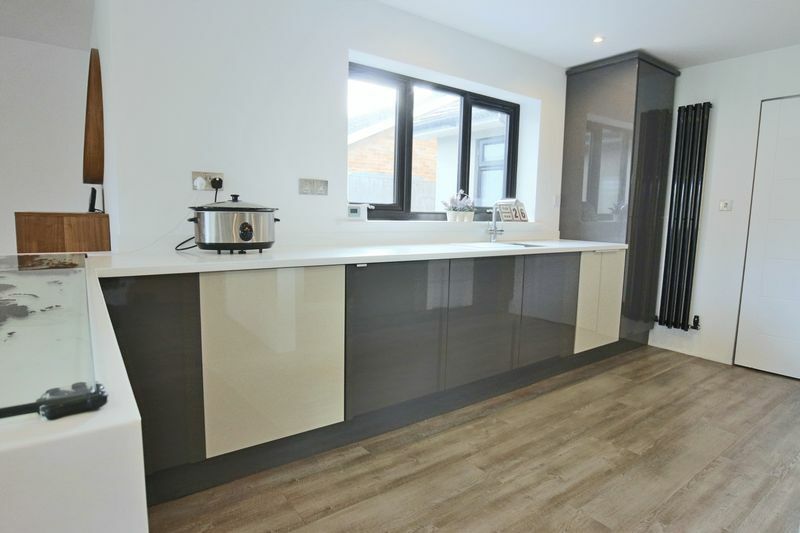 plus double built-in cloaks cupboard with fuse box and hanging space, Karndean flooring. 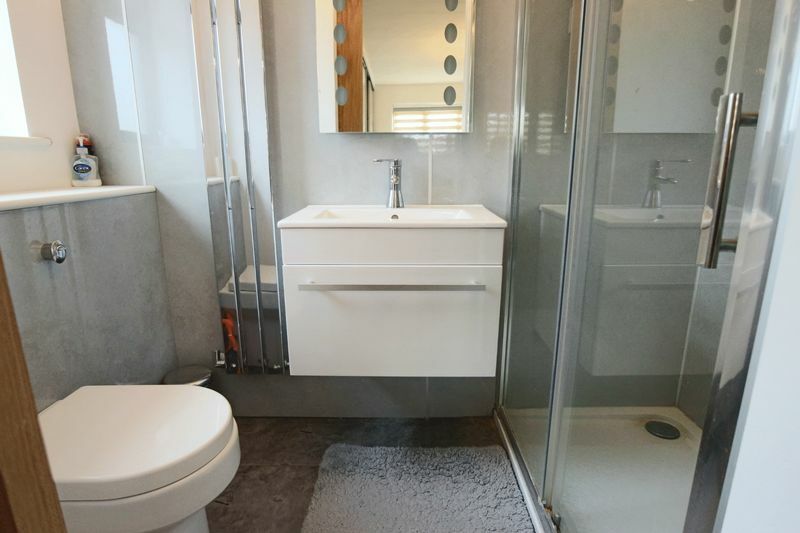 low level wc with concealed cistern, vanity washbasin, hot and cold mixer tap, drawers and cupboard space under, tiled floor, sky light double glazed velux window, chrome towel rail/radiator. 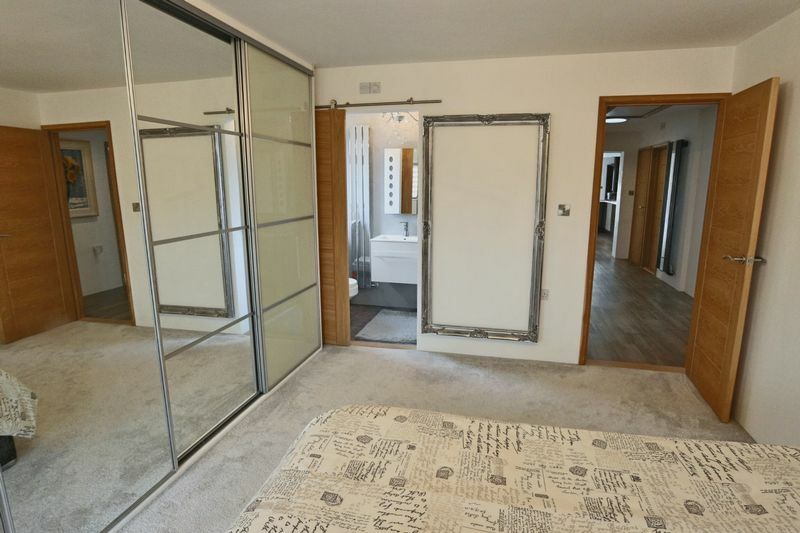 Karndean flooring, access to roof void, 2 sun pipes, modern style upright radiator with inset mirror, built-in utility cupboard with plumbing for automatic washing machine and space for tumble dryer, additional built-in store cupboard with 2 sliding doors, 1 mirrored. 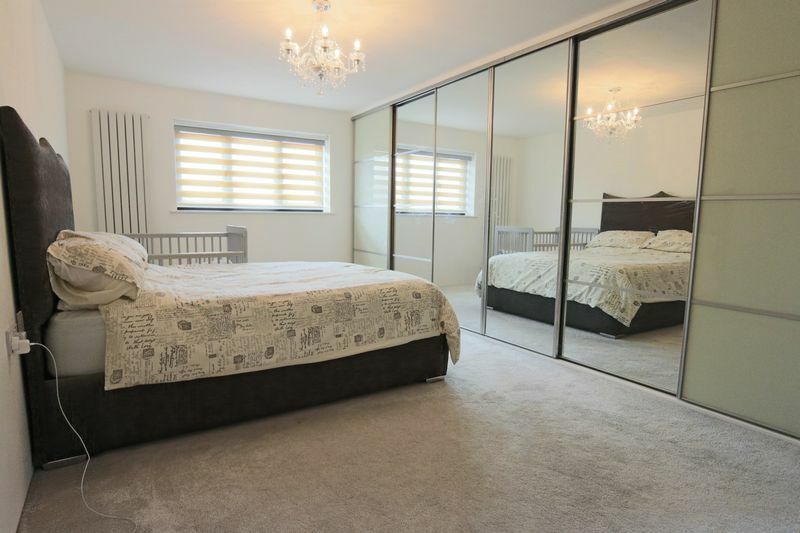 black upvc double glazed window, extensive range of fitted wardrobe cupboards with concealed central vanity unit, 6 sliding doors, 4 mirrored, upright modern style radiator, tv point. 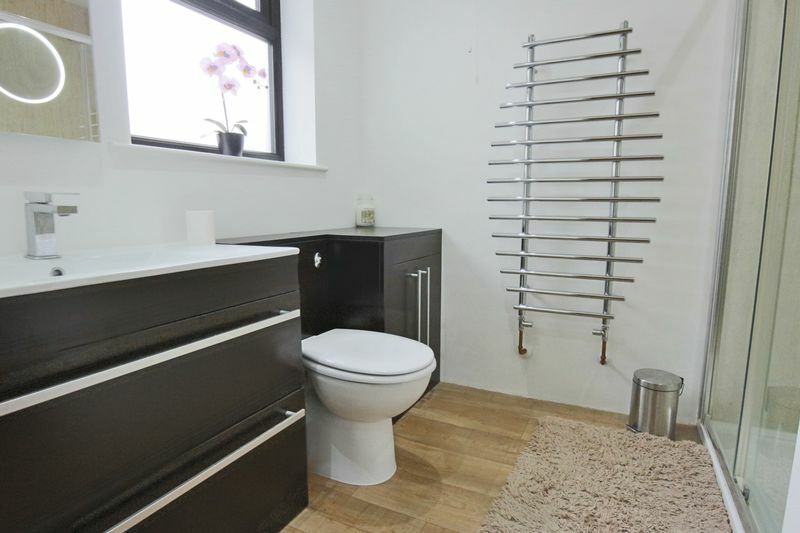 double walk-in shower cubicle, pvc clad wall clading, thermostatic shower unit and overhead drencher, low level wc with concealed cistern, washbasin, hot and cold, cupboard space under, courtesy mirror with concealed lighting, chrome modern style upright radiator, ceramic tiled floor, extractor fan, black upvc opaque glazed window. 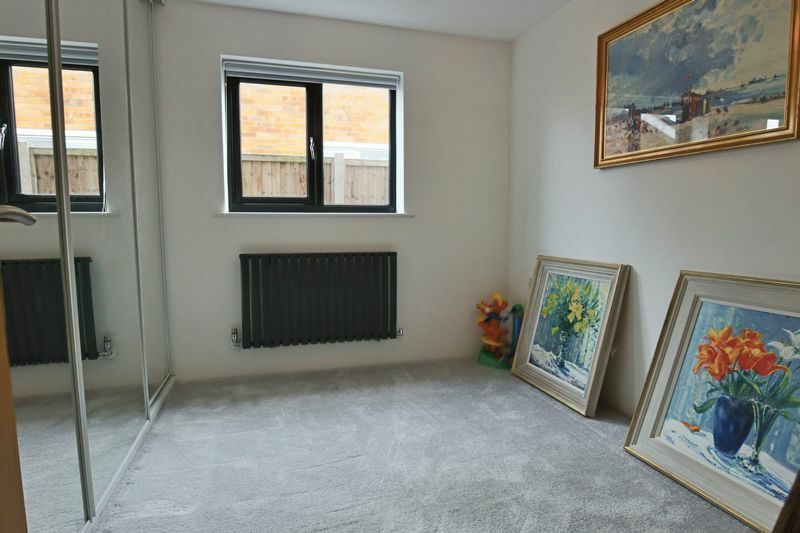 black upvc double glazed window, radiator, tv point. 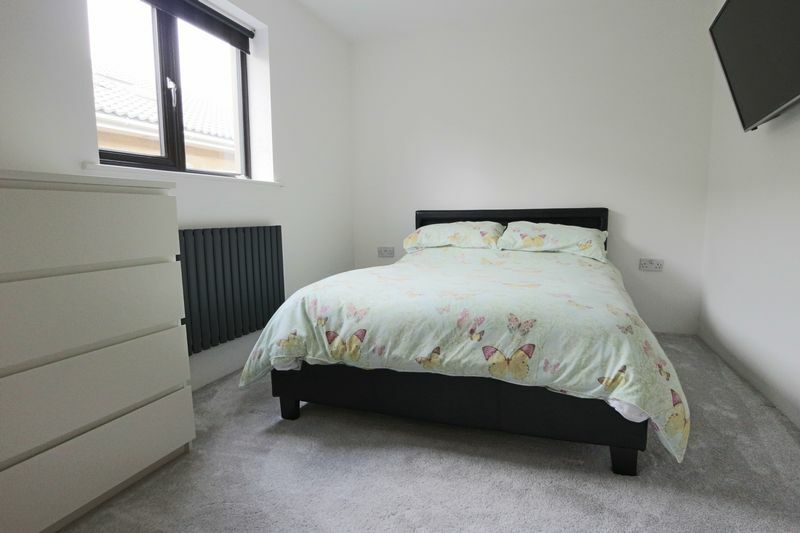 black upvc double glazed window, double built-in wardrobe cupboard, ample hanging and shelving space, modern style radiator, inset ceiling spot lighting, tv point. 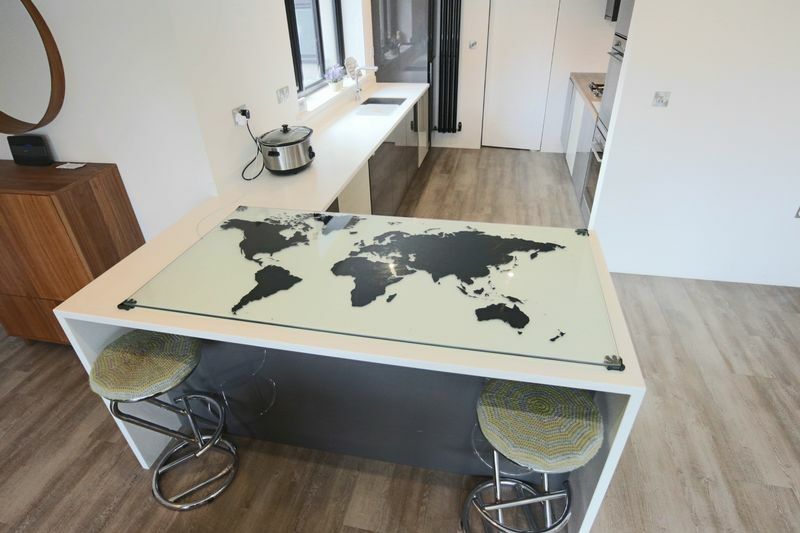 to include a full range of fitted wardrobe cupboards providing ample hanging and shelving space, 4 sliding mirrored doors, black upvc double glazed window, modern style radiator, tv point. 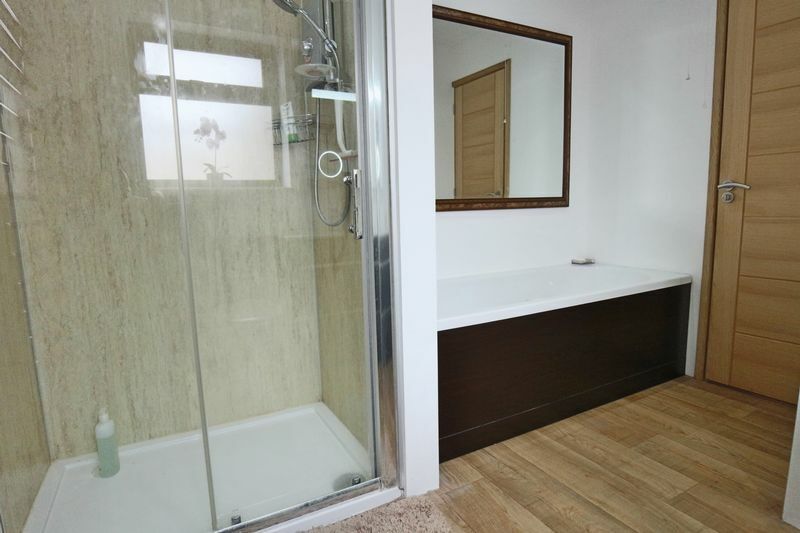 cased bath, hot and cold, low level wc with concealed cistern, vanity washbasin, hot and cold, fitted bathroom furniture/cabinets, double walk-in shower cubicle with instant shower unit, pvc clad walls, inset ceiling spot lighting, extractor fan, chrome towel rail/radiator, courtesy mirror with concealed lighting and clock, black upvc opaque glazed window. 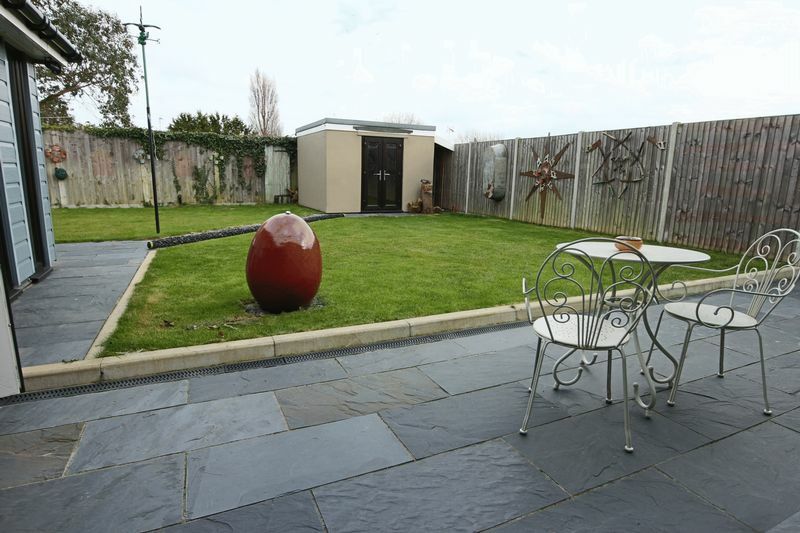 To the front, small lawned area, large cobble stone driveway with turning area and car standing, feature metal railings. 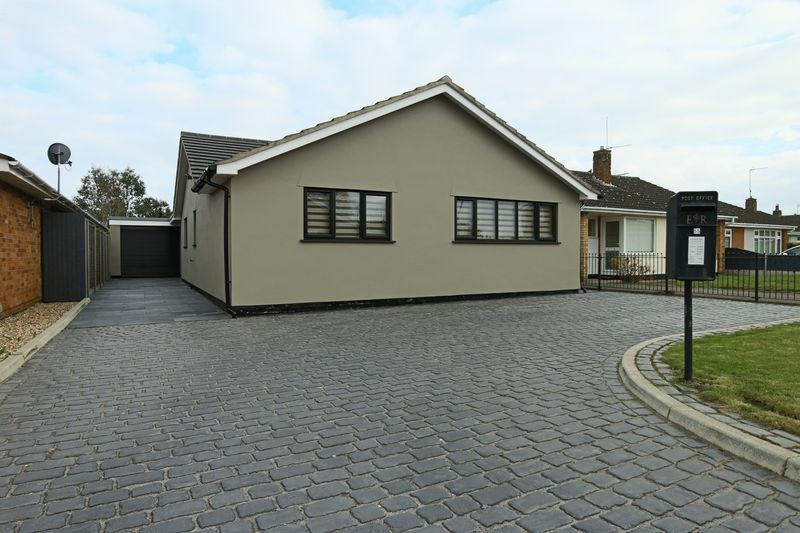 To the side, extended slate driveway providing further car standing and leading to adjoining garage. 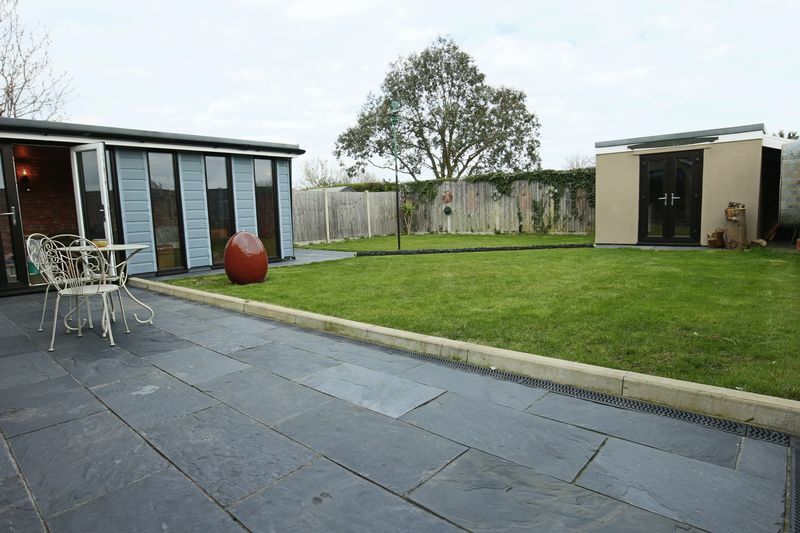 To the rear, fully enclosed and private rear gardens with lawned areas, good size slate patios and pathways, external power points and courtesy lighting. 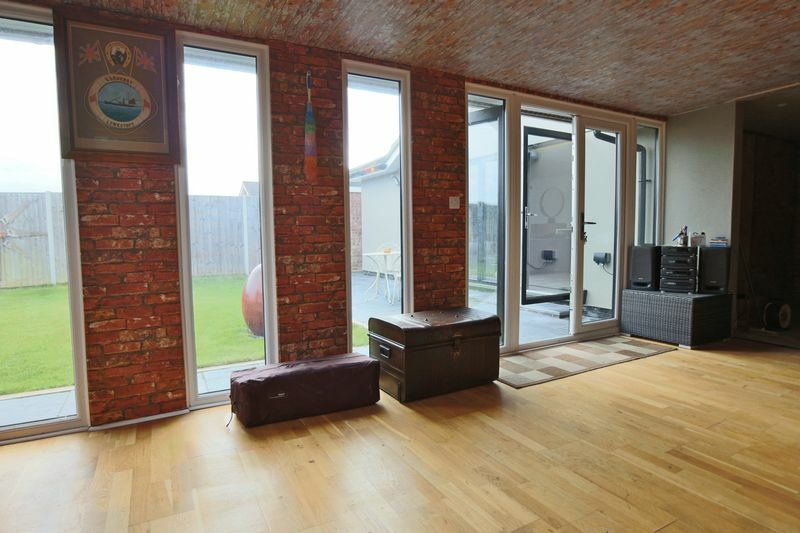 To the side, of the property is a further gate and pathway. 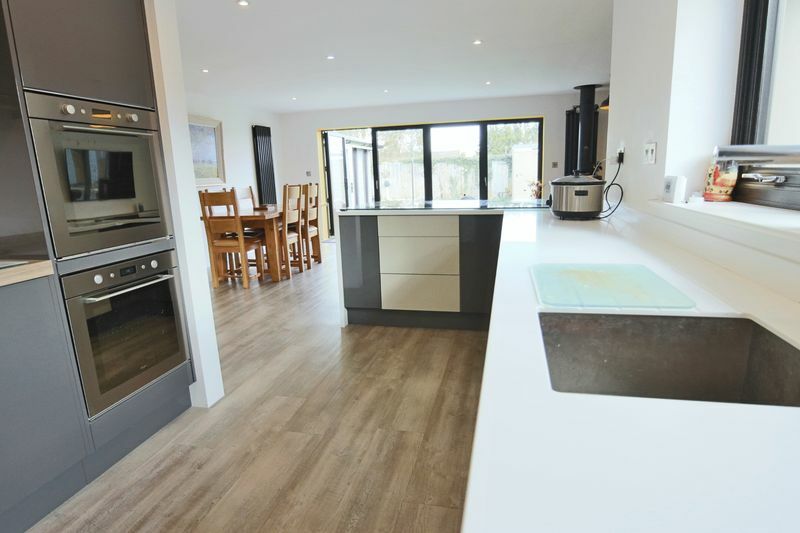 ample power and light on a fused supply, Baxi gas combination boiler heating domestic hot water and radiator central heating system, automatic water softener unit, remote control roller door, additional rear remote control roller door providing throughway access to garden room. 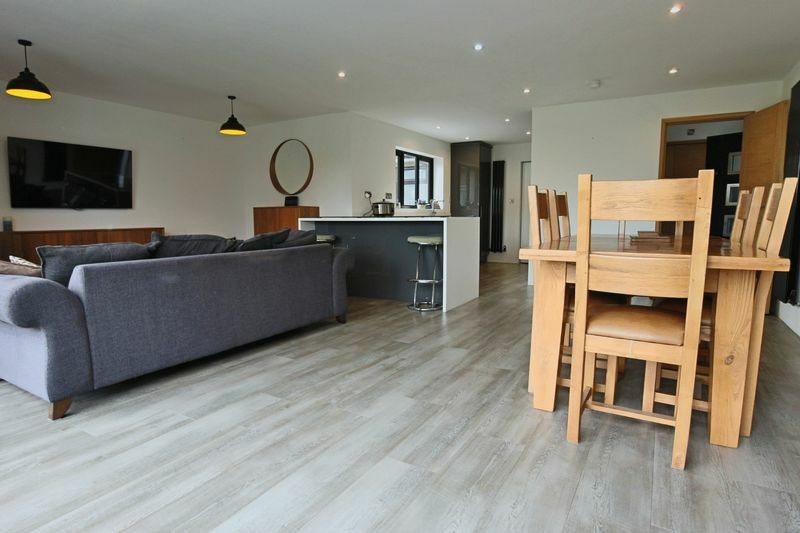 with laminate flooring, 3 sets of full height windows, matching patio doors and end sash window, ample power points and fully insulated throughout. 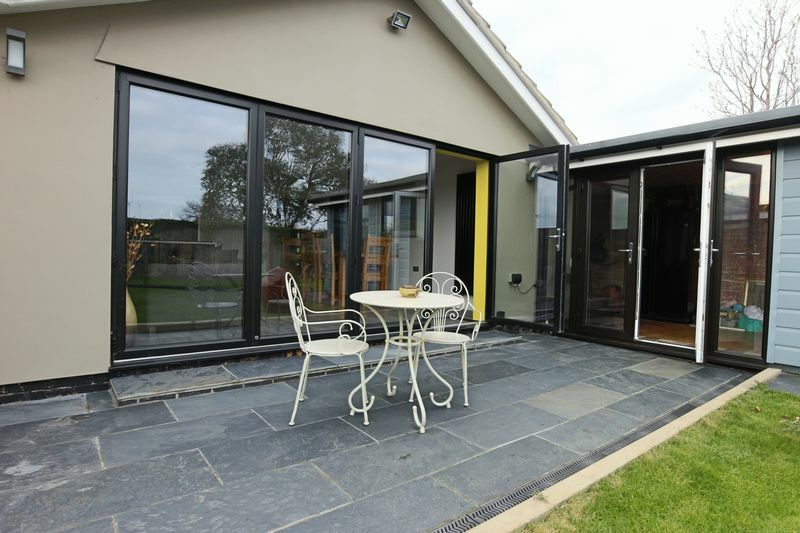 with fibreglass roof, fitted base and wall cupboards, ample power and light on a fused supply, upvc double casement doors. 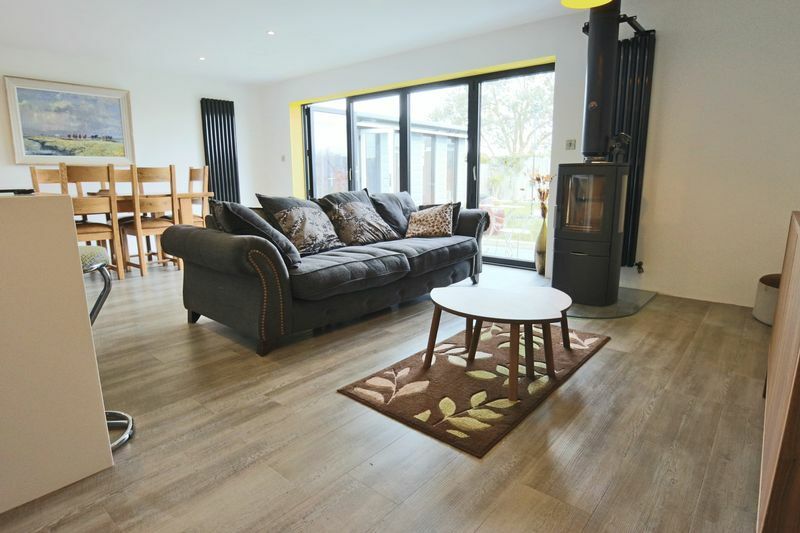 free standing feature log burner, 4 wall mounted upright modern style radiators, 4 section bifold aluminium patio doors to rear patio and garden, 2 tv points, Karndean flooring.